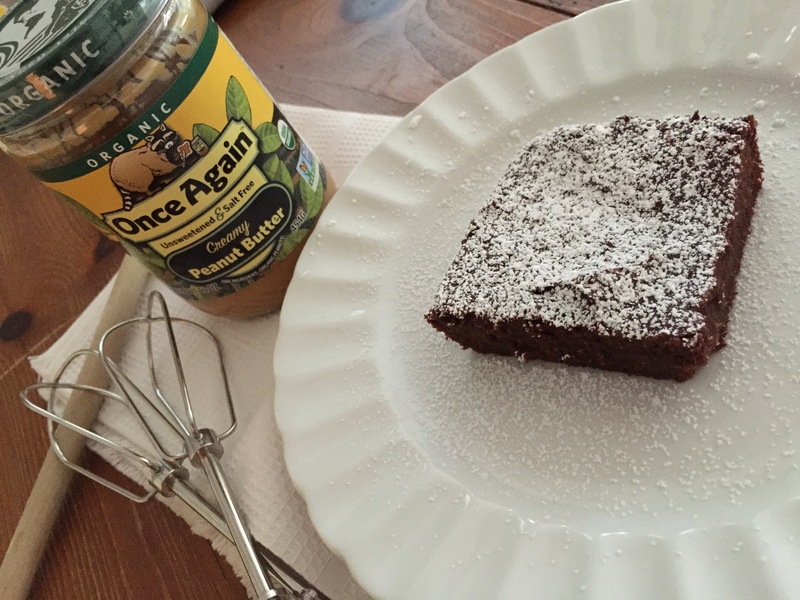 Chocolate Peanut Butter Brownies: Grain Free! Did you know that you can turn dinner leftovers into desert? It’s true when it comes to mashed sweet potatoes. 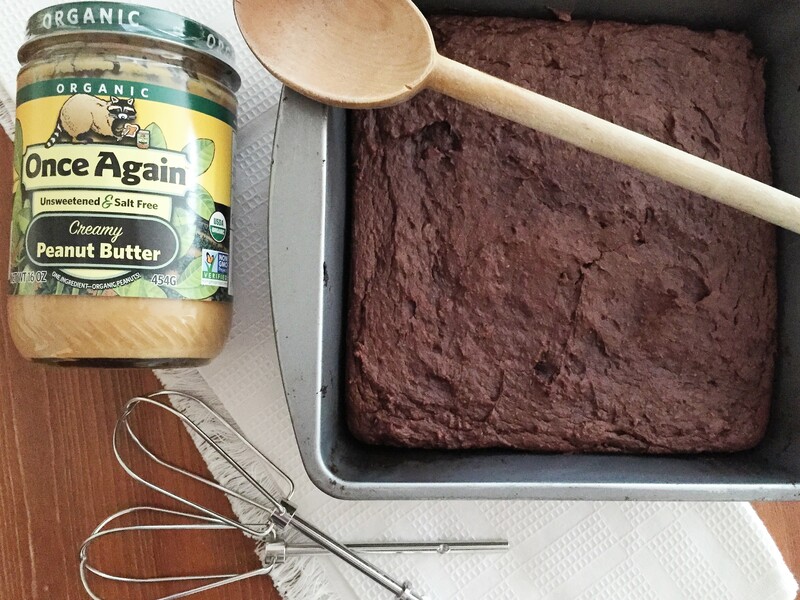 You can make mouth-watering fudgy brownies completely grain-free by using mashed sweet potatoes instead! This idea was introduced to me at a party when someone brought their version of grain-free brownies, and they were made with black beans. This of course was inspiration for me to try my own version of black bean chocolate brownie recipe, but stay tuned for that one. I’m working on it, but unfortunately so far lots of batches have been made and not one made the cut just yet. In the midst of my trials, I noticed some leftover mashed sweet potatoes in my refrigerator that were just asking to be part of the desert fun! Sweet potatoes are definitely more nutrient-rich than white flour; therefore, a brownie recipe that takes out the flour and adds mashed sweet potatoes is a healthier option any day! Sweet potatoes are a great source of vitamin A and C; they are rich in fiber and also contain antioxidants, anti-inflammatory nutrients and even blood-sugar-regulating nutrients. Also, it is helpful to add some fat to your sweet potatoes to enjoy the full benefits of their beta-carotene. Research has found that fat significantly increases our uptake of beta-carotene from sweet potatoes, and that is great news for all because there is nothing better than baked sweet potato sliced open and served with a dollop of almond butter! If you haven’t tried that before, please do and come back to let us know what you think. But how exactly do you turn sweet potatoes into brownies you ask? Start with either leftover mashed sweet potato, or bake some sweet potatoes for this recipe. You can also boil them instead, you will need 1 ½ cups of it which is about 2 medium sized sweet potatoes. 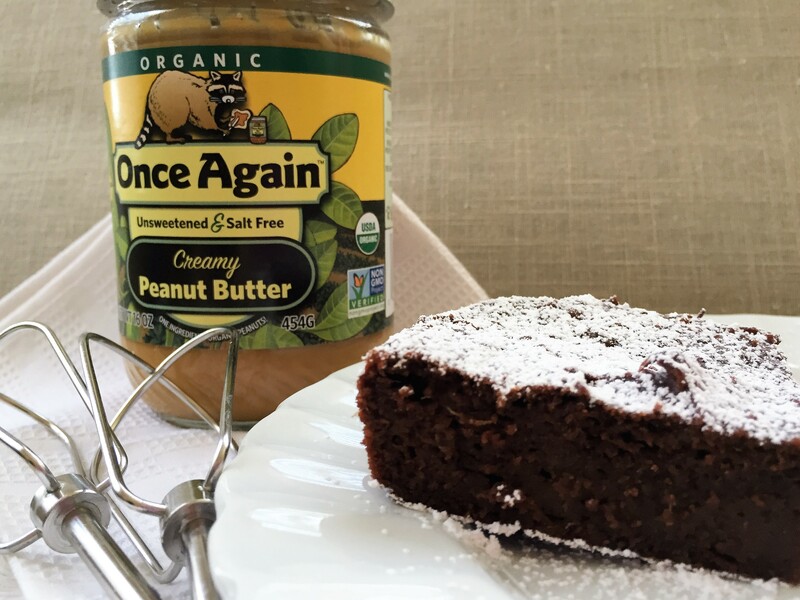 This brownie is not going to be overly sweet, so it is appropriate to add a frosting or just top it with extra Once Again Peanut Butter. When you first remove them from the oven, they will be extra moist, but allow them to cool a bit before slicing for better results. You can store them in the refrigerator in an airtight container for up to 3 days, and this is one of those deserts that just gets better with time. They are unlikely to last in my house past the 24 hour mark, but I hear they are fantastic the next day topped with vanilla ice cream. Mix sweet potatoes and peanut butter in a large bowl; once well mixed, add in the honey and eggs. In separate small bowl mix coconut oil and cacao powder, and then add to the potato mixture. Finally, add the baking soda. Preheat oven to 375 degrees and bake for 30-45 minutes, or until you can insert a toothpick and it comes out clean. Store in the refrigerator for up to 3 days. I’ll have to try this healthy recipe. Brownies are the best, and peanut butter would make them even better! Interesting! I’ll have to try these!